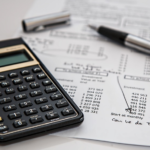 When one or more of your five main business areas is weak, this results in an imbalance that will cause money to leak out of your business. You need to act to stabilise any business imbalance. Have you got your copy of The Little Book of Client Retention yet? This book is in the format of quick Dos and Don’ts to ensure clients keep returning to you and LOVE what you do! DOWNLOAD MY FREE EBOOK, NOW! I have been running my Beauty salon in a beautiful market town on the edge of the North Yorkshire moors for 25 years now, employing up to 7 therapists at our busiest. New treatments, training and ideas were always something that I have been very driven by, permanently moving the business forward and in new directions. But with the arrival of children into my life and all the stresses and strains not to mention juggling that introduces I was beginning to find juggling business too, the final straw. Susan Routledge is without doubt the person I recommend to any business owner looking to maximise profits from their business. Susan doesn’t give you meaningless theory – all the tools she uses, from financial analysis & forecasting to working systems she has perfected in her own businesses and the businesses of those people smart enough to hire her. If you get a chance to work with Susan, do it – you won’t regret it! When I was introduced to Susan at the Professional Beauty show North last year, I thought I wanted to open my own style and beauty salon. I’d just committed to buying an expensive piece of ‘state of the art’ equipment, intended to be the star piece of my new premises. It was suggested I chat with Susan, who had already made a great success of the advanced treatments delivered by this equipment at her own salon. 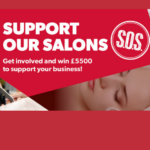 I met Susan at a Professional Beauty show having been introduced by a Company director who she dealt with from an equipment supplies point of view. At the time we were in the process of researching the supply of equipment with view to opening our own salon. Our initial contact was very interesting as, at the very first meeting with Susan, we felt her quiet yet self assured personal style shine through. 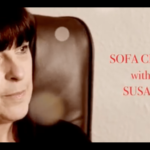 Susan helped me to identify what had probably been the biggest blocker stopping me from taking my business to the next level and, in doing so, has helped me tackle it head on and work past it to ensure I grow my business. 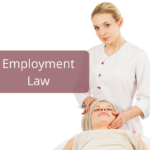 Employment Law–Can an Employee Legally Steal Your Clients?